I was reading Oracle journal early today. Navigate your browser to read a short article – Which Cloud Service Provider Should Host Your Oracle Databases? The article is explaining how to host Oracle database using Amazon Web Services. If you are not familiar with this opportunity, here is the deal – you can host your RDBS (i.e. Oracle) on the cloud using so called Amazon RDS service (Oracle license included). 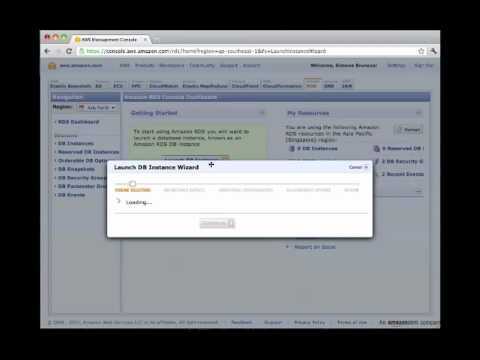 I found the following video demonstrating how you can start you Oracle 11G instance on Amazon RDS in 5 minutes. What is the conclusion? Actually, there is no conclusion in this post. I have a question. Management of database is one of the reasons why PDM software is complicated. You need to install the database service, administrate it, etc. Don’t you think, moving your database service to the cloud will be more efficient? There are few additional questions you need to answer related to management of file storage, performance and efficiency. So, I wonder if somebody using PDM/PLM systems in such configurations and what is your experience? Anyone?